Kolkata, popularly known as the city of joy is a wonderful place to settle down. Here, one can feel relaxed and can expect a life which is free from tension, extra-burden and fatigue. This is in the atmosphere of this city. People here are very hard-working and once any outsider witnessed here the living standards for quite some time, he becomes used-to about the quality of living that is present here everywhere. But, this is not the only reason that inspires people to migrate towards it. Kolkata is also a commercially developed city and once you got in here and you have the required skills, talent and motivation, then nobody will stop you to achieve success here. IT industries from the renowned technology brands in the world have their offices here which are providing countless white-collar job opportunities to the talented and skilled professionals. 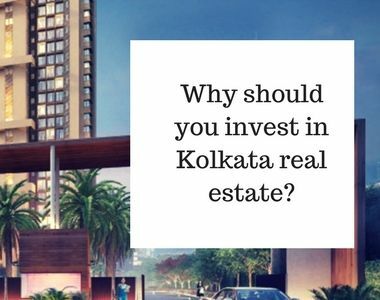 Also, those who are prosperous enough to afford the quality housing options can head towards Kolkata and in comparison to other metros, the city provides comparatively lower rates for the best quality modern housing options like the high-quality luxury apartments loaded with outstanding facilities, amenities, and modern comforts. So, here you are one of the finest housing options of Kolkata city, the new launch from Mani Developers, Mani Vista. This is the perfect example of true architecture and the collection of comforts from another level. Here, residents can expect for a lifestyle which is full of every day new plans and they need to mark dates on the calendar to use here all the available luxuries and amenities. Buyers who need homes to utilize the spaces maximum as their requirements are bigger can choose here the apartments. Absolutely made for families whose desires are huge, the 3, 3.5 and 4 BHKs here have apartment areas range from 1795 sq. ft. to 2364 sq. ft. Mani Vista Tollygunge is the real destination for interior lovers and those who need the home design quality superior. All these homes have all the modern specification that are available in the modern real estate market. Vaastu guidelines have been properly followed and one can relax here in the AC homes and beat the heat of summer. 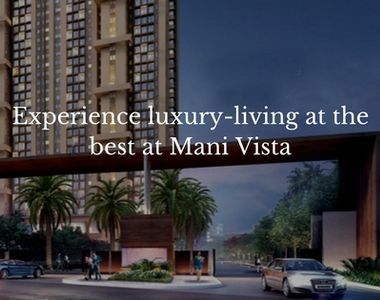 A very thoughtfully planned location is the key to success for Mani Vista Kolkata, due to which, connectivity from this township is outstanding to all the renowned landmarks, public and social facilities, entertainment zones, commercial hubs and all the major transportation sources in Chennai. Well, you can reject this project but not after having a look at the amenity section here. It has the luxury resources like a card room, tennis and basketball courts, clubhouse, swimming pool, car parking spaces, 24X7 security, open space, gym, power backup, continuous water supply, indoor games, juice bar and lounge and much more. 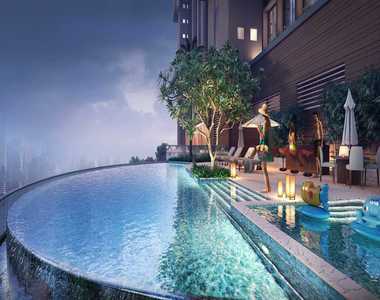 The special Mani Vista Price will also insist you to think twice about this property. The prices range from INR 1.55 crores to INR 2.05 crores.